Carma Poodale : Bunny Meme Sunday! 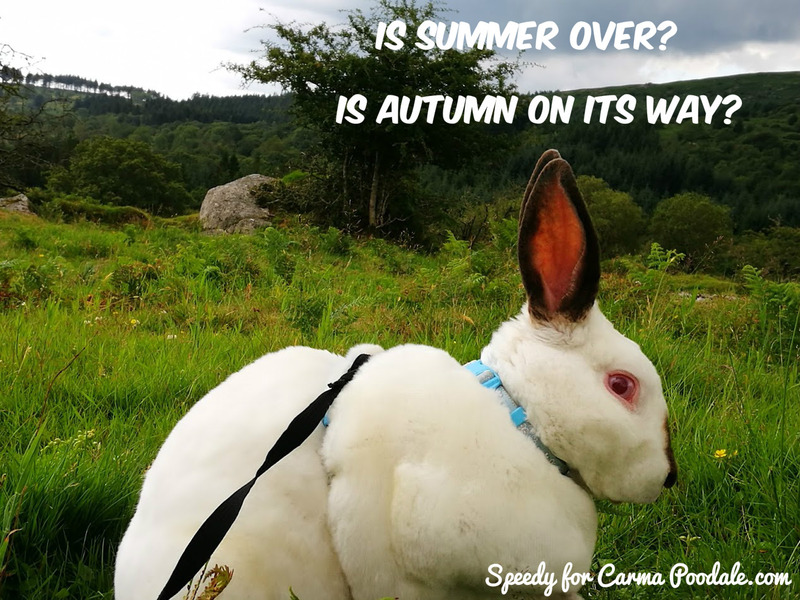 I don't know about you but here in the UK it has gone decidedly Autumnal.This morning mummy went out side and it was only 3 Degrees Celsius with is 37F for my US friends,it did warm up a bit but the air has that cold nip you get with Autumn.....Where has Summer gone? We have had quite a lot of rainy days since mid July.....not Summer weather at all.Where has Summer gone?Can she come back please before the end of Summer really gets here? Have you still got Summer or are you like us here in the UK? Ooooh, send any of those cool temps our way, Speedy! We'll take 'em.